The inspiring Scripture from Isaiah 53 - "...wounded for our transgressions...by His stripes we are healed." 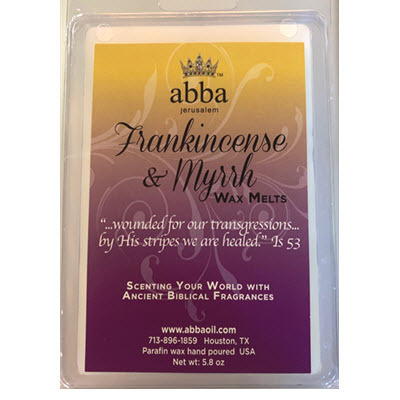 We chose FRANKINCENSE & MYRRH for the fragrance as it represents Healing & Intercession. Hand-poured in Abba's facility.